Snapshot rocks at Southgate Manor for a night to remember! Snapshot Photobooths and SCE teamed up for an amazing wedding at the local Southgate Manor, located in Freehold, New Jersey. The Southgate Manor has an amazing outdoor pavilion that is used for cocktail hours, in addition to the beautiful reception room. 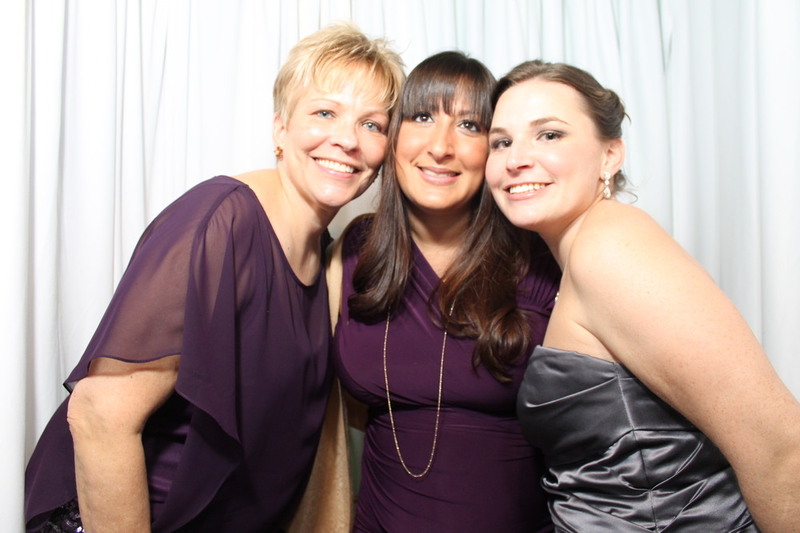 SCE host Jason Jani and Snapshot Photobooths provided services for Gabrielle and Danny’s 12-1-12 wedding. Jason and his crew had a busy night! Not only did they provide music during the 5 hour reception, but also music during the cocktail hour. Gabrielle and Danny added the intelligent lighting, which serves as dance floor lighting and spot lights during entrances. They also had color changing uplighting. The multimedia package was part of their special night too. It included a custom made love story montage, made up of pictures from their childhood days as well as their time spent together. Since it was a winter wedding, Gabrielle and Danny added SCE’s special snow feature, which allowed them to dance while it was snowing at special moments in the night. Snapshot Photobooths provided our famous white, lounge style photobooth. With crisp, white drapes around the booth it made for some great pictures! Gabrielle and Danny worked with SCE staff to design a custom footer with their names and date, so when guests took their photostrips home they could remember what a great time they had at the event. Snapshot Photobooths Celebrity package included a photobooth attendant who stayed with the booth the entire time, distributed the pictures and put together the professional, leather bound scrapbook that was included in the package as well. Gabrielle and Danny got to take home the scrapbook that night, filled with photostrips and message from their guests. Congratulations to Gabrielle and Danny! Thank you for having Jason, SCE and the Snapshot Photobooths be part of your special day at the amazing Southgate Manor. Take a look at some of the pictures from their wedding, below. Don’t forget to leave us a comment! Newer PostSnapshot celebrates at Addison Park for memorable night! Older PostSnapshot hosts at The Merion for an amazing wedding!